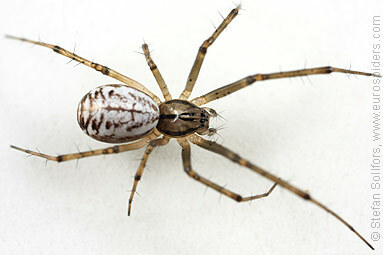 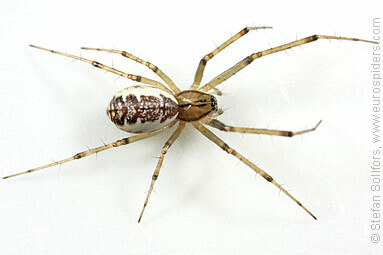 Female Linyphia triangularis spider, side view. 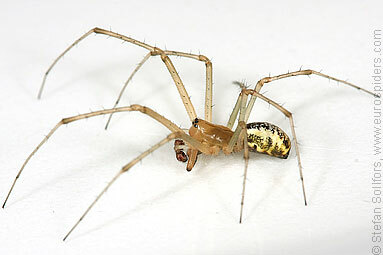 Male Linyphia triangularis spider. 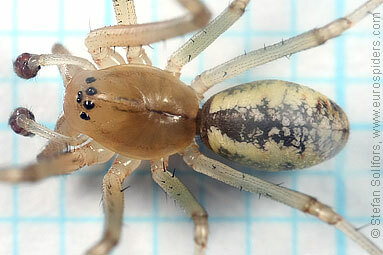 This specimen is not as dark as males usually are. 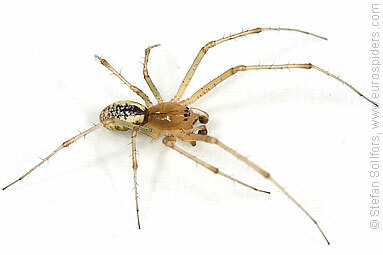 Male Linyphia triangularis spider. 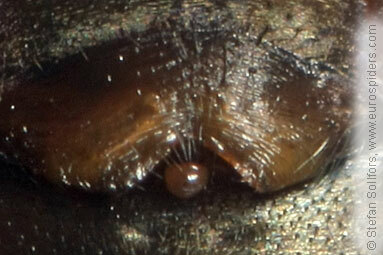 Close-up from above. 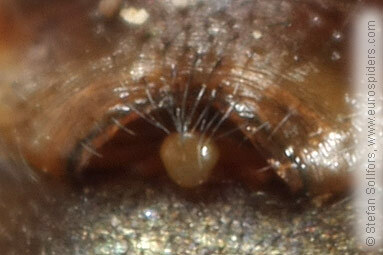 Very faint markings on the head. 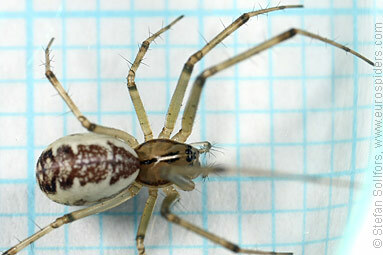 Female Linyphia triangularis spider, head-on view. 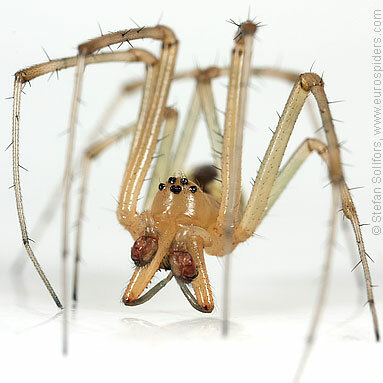 Male Linyphia triangularis spider, head-on view. 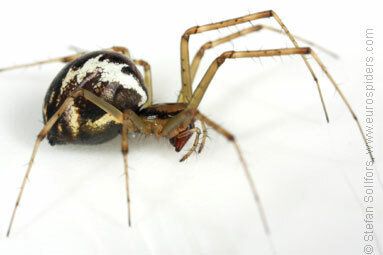 Male Linyphia triangularis spider, close-up of the head. 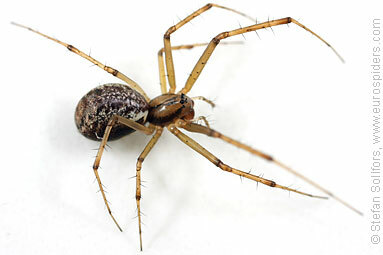 Male Linyphia triangularis spider from below. 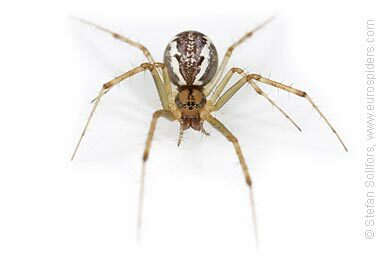 Female Linyphia triangularis spider from below. 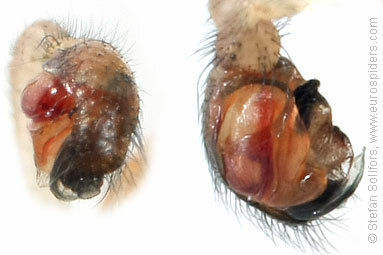 Male Linyphia triangularis, close-up of palp. 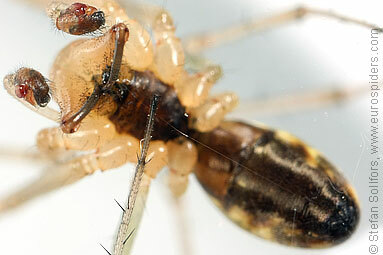 Female Linyphia triangularis, close-up of epigyne. 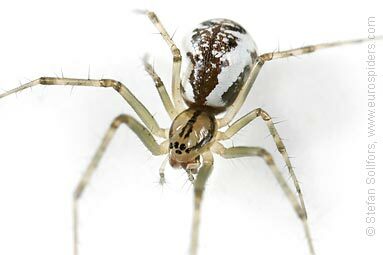 Male Linyphia triangularis spider, about 5 mm. 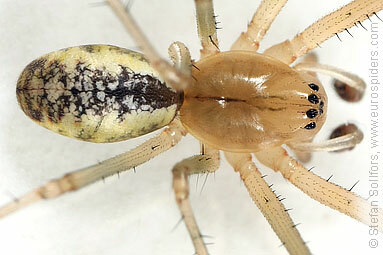 Male Linyphia triangularis spider, about 6 mm. 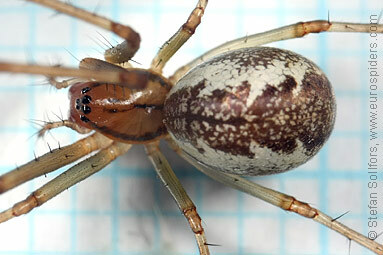 Female Linyphia triangularis spider, just above 6 mm. 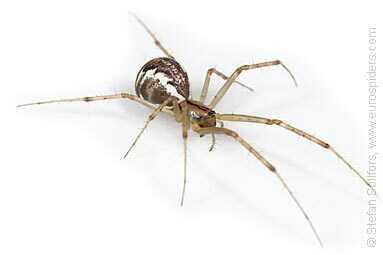 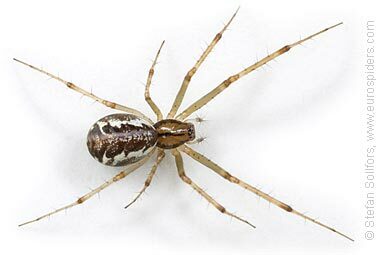 The Linyphia triangularis is very common and one of the largest Money spiders. 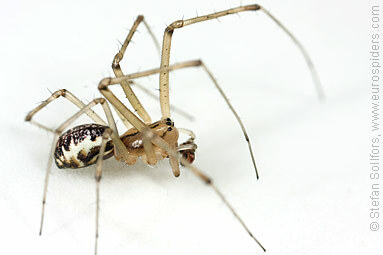 It builds a sheet webs with criss-cross threads above it and hangs upside down under it, waiting for prey to fall down.